In this month's newsletter, you will read about our Career Exploration Days, Out of School Time programs, the upcoming Macquarie Investment Management Charity Classic, and more! Our girls had a busy month visiting lots of different companies for Career Exploration days! We work with corporations to provide middle and high school girls with opportunities to experience a wide range of career possibilities. By hosting a Career Exploration Day, companies help connect girls to the many career opportunities that exist in their industries while encouraging them to pursue the education necessary to achieve those careers. 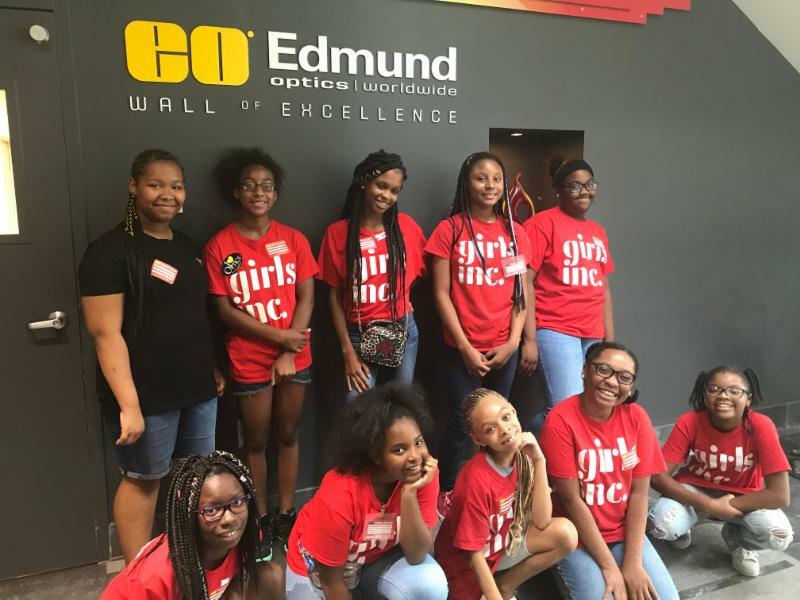 This summer, our girls had so much fun visiting 6abc Action News , Arris , Edmund Optics, Independence Blue Cross , Johnson & Johnson , Merck , Merrill Lynch , Skanska, Volpe & Koenig P.C. , and World Wide Technology . To learn more about Career Explorations, please visit our website here . We are thrilled to be the beneficiary of Macquarie Investment Management’s 14th annual Charity Classic for the second year in a row! Last year, the Charity Classic golf event raised more than $100,000 to support our organization. With the help of the Macquarie Group Foundation, this event has raised more than $2 million for nonprofit organizations across the Philadelphia region over the past 14 years. We welcome you to participate in the Charity Classic this year on Monday, October 8 at the Fieldstone Golf Club in Greenville, Delaware. To learn more about the Charity Classic, click here . For ways you can support and sponsor the event, click here . If you have questions or need additional information, please contact Jessica Fitzgerald by email or by phone 215-255-1336. We kicked off our Out of School Time (OST) programs with a Back to School Bash! Sixty girls celebrated the launch of our OST programs by receiving school supplies generously donated by TransUnion . Discovery is designed for girls ages 6-8 years old to cultivate their leadership skills through literacy and activities that promote a healthy lifestyle. In STEM GEMS, girls ages 9-11 participate in hands-on STEM (science, technology, engineering, and math) activities where they explore, ask questions, and persist to solve problems. Rising STARS is a leadership program for middle school girls designed to equip them with the skills to investigate their rights and responsibilities and create lasting social change within their communities. Ambassador Club is a leadership program designed to prepare the next generation of future leaders with the knowledge, skills, and attitudes necessary to succeed. High school girls work closely with Girls Inc. staff and mentors to develop valuable skills in public speaking, essay writing, college preparation, etiquette and building their brand. STEM GEMS, Rising STARS, and Ambassador Club currently have a waiting list, but there are still spots open in our Discovery program! To learn more about signing up for an OST program, please visit our website here . We are so pleased to welcome this semester's new interns and volunteers! 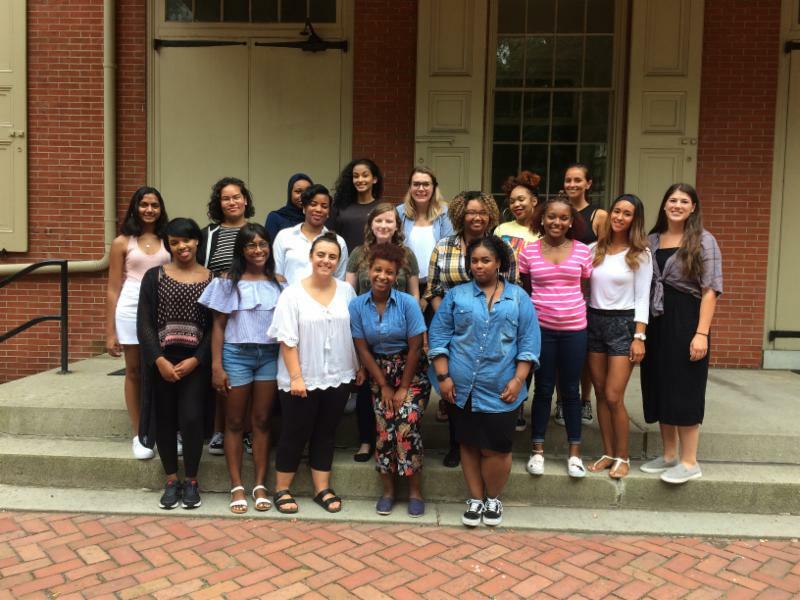 Interning with Girls Inc. is a unique and hands-on experience. Interns consider this experience life changing because they receive comprehensive training in classroom management and program facilitation. They will deliver our wide-range of research-based programs in our partner schools, community sites, and with the Juvenile Justice Services Center. Thanks to our interns, we are able to see thousands of girls every year! To learn more about how to get involved with us, please visit our volunteer page here . Your shopping makes a difference. Amazon donates to Girls Inc. of Greater Philadelphia and Southern New Jersey when you shop at smile.amazon.com/ch/23-1607172 .